Heart disease is the leading cause of death in the U.S. for both men and women, killing one out of every four Americans. According to the Centers for Disease Control, heart disease is responsible for more than 600,000 deaths and $109 billion in costs each year. What many don’t know is that each year, over 200,000 people under the age of 45 suffer a heart attack. People of all ages are at risk, but can takeaction to reduce their risk and improve their lives. The Preventive Cardiovascular Nurses Association (PCNA) has launched a bold new campaign that seeks to spread awareness about heart disease prevention. The PCNA Prevention Challenge encourages organizations to submit photos or videos to PCNA’s Facebook page describing the activity they’ve planned to promote healthy lifestyle change among their employees or members. 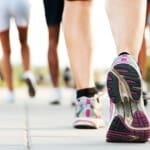 The activity that has the biggest impact on heart disease prevention and receives the most votes on the the Challenge Facebook tab by April 1, 2013 will receive a $5,000 award to continue funding the organization’s wellness activities. Throughout the month, PCNA will also host webinars and release tools for organization leaders to use during their activities. The Challenge winner will be honored at the PCNA 19th Annual Symposium on Friday, May 3, 2013 in Las Vegas. Eligibility rules and restrictions for the Challenge can be found on PCNA’s website. Preventive Cardiovascular Nurses Association (PCNA) is the leading nursing organization dedicated to preventing cardiovascular disease (CVD) through assessing risk, facilitating lifestyle changes, and guiding individuals to achieve treatment goals. The mission of PCNA is to promote nurses as leaders in the prevention and management of cardiovascular disease. PCNA does this by educating and supporting nurses through the development of professional and patient education, leadership, and advocacy. For more information call 1-608-250-2440 or visit www.pcna.net.